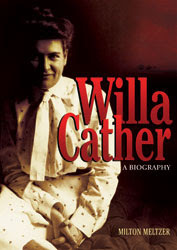 Although it is Poetry Friday, I'm going to talk about a fiction writer today as I just finished this terrific new biography of Willa Cather by Milton Meltzer. As a lover of books, I am also a lover of writer's biographies. To peek behind the curtain and learn how writers use their personal experiences to create their characters and sense of place is a fascinating study. Meltzer is an award-winning author who has written more than 100 books for young adults on American history, historical figures and artists. He is a confident writer who weaves together Cather's biography personal life, travels, worklife and emerging prominence as a woman and Pulitzer Prize winning author into a compelling and easy-to-read narrative. In keeping with a book intended for young adult readers, Meltzer devotes the early pages to a lengthy treatment of Cather's family's move to Red Cloud Nebraska from Virginia where Cather was born in 1873 and spent the earliest years of her life. When she was nine-years-old, Cather's family moved to frontier country on the western plains of Nebraska. It was surprising to me that even on the frontier, a person could be exposed to art, literature and music. Many of the new settlers were educated people from the east who had come to create new communities on the frontier. Doctors, lawyers, newspaper editors, teachers and other educated people were able to see traveling speakers and musicians on a regular basis. Every town of any size had an Opera House where performances and lectures were regular and varied. The people she knew and met during this period of her life would provide Willa Cather a deep well of inspiration that she would draw upon regularly during her writing career. Cather apparently always left people with the sense that she was going "somewhere." She had a strong presence and sense of direction that was clearly different from many of her Nebraskan neighbors. The 160-pages of this book fly by. Many of the historical photographs are formal portraits showing Cather in her roles as successful managing editor for the largest women's magazine of the day, working at her writing or traveling with a friend. Meltzer deals frankly with Cather's lifelong female friendships. He does not shy away from the suggestion that they are lesbian in nature but does not go into detail. 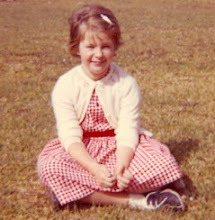 At a young age, Willa determined that if she married, she would not be free to develop her writing. So, she rejected marriage to pursue her art - a choice she saw as neccessary to achieve her goals. It's interesting to see the many formal portraits taken over her lifetime as that is so uncommon in our time. The advent of easy snap shot photography has resulted in far fewer trips for most of us to the photographer's studio. But as Cather moved into the 20th century, it's fascinating to see the changes in clothing, cars and other technology in the background of the photographs. Meltzer does an excellent job of bringing to life the creation of each of Cather's major works and detailing how the people in her life and the places she visited played their supporting roles. As a significant American author, Cather's My Ántonia, Death Comes to the Archbishop (my favorite), and her Pulitzer Prize winning novel One of Ours, are often taught in middle school and high school literature classes. Like many of the books I read then, I find that now I am able to give her books a far richer reading than I did in middle school and high school. I highly recommend this biography of Willa Cather and look forward to searching out and reading more biographies by Milton Meltzer.